Fifty-one students from all over Germany have registered for the NASA / DLR Design Challenge. Together, they form 10 teams from nine universities, including TU Munich, TU Berlin, University of Stuttgart, TU Braunschweig, RWTH Aachen, FH Aachen, TU Hamburg-Harburg, HAW Hamburg and TU Dresden. The DLR / NASA DesignChallenge 2018 focuses on ultra-efficient aircraft designs that revolutionise passenger flight, making them more environmentally friendly and economical. The Strut-Braced Wing configuration studied at DLR is characterised by a fuel-efficient design with a large span and rear-mounted open-rotor engines. 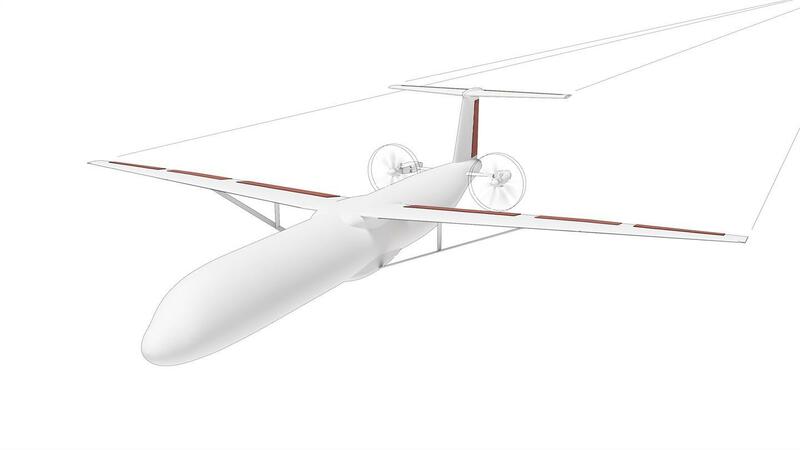 Three students did it last year – with the 'Urban Liner', they designed an aircraft that is highly innovative in formulating a coherent overall concept. At the same time, they demonstrated what aspiring researchers are capable of in the design competition organised by the German Aerospace Center (Deutsches Zentrum für Luft- und Raumfahrt; DLR) and the United States space agency NASA. The competition is now entering its second year, and it is again time for students to use their own ideas to direct aviation technology in new directions. This time, the focus is on ultra-efficient aircraft designs that revolutionise passenger flight, making it more environmentally friendly and economical. This task has been set by DLR in cooperation with NASA and will be carried out by students in Germany and the USA. The kick-off meeting for participants from seven German universities will be held on 23 February 2018 at the Center for Applied Aeronautical Research (Zentrum für Angewandte Luftfahrtforschung; ZAL) in Hamburg. The competition proposals must be submitted by the end of June. In the autumn, the German winners will visit the NASA facilities, where they will present their work alongside the US winners of the competition. The ever-growing global demand is providing today's aviation with impetus towards further development and change. Ambitious targets in Europe and the United States are pushing the frontiers of technology to achieve lower emissions, more efficient and cost-effective passenger air travel. The competition is seeking to find revolutionary new technological ideas – from aircraft designs to propulsion concepts. "Last year, the winners of the DLR / NASA Design Challenge demonstrated the fresh ideas they can bring to the aircraft of the future with well thought-out concepts," says Rolf Henke, the member of the DLR Executive Board responsible for aeronautics research. "Global aviation is facing great challenges and needs such unconventional impulses. That is why we are delighted to be joining forces with NASA to hold this competition for a second year." The German and US aerospace organisations have been collaborating closely for a long time. In aviation research, they are particularly involved in joint research projects in the areas of air traffic management, low-noise and low-emission flying and, most recently, in joint test flights in Germany to investigate the emissions of alternative aviation fuels. "The NASA and DLR partnership has worked extremely well over the years," says Jon Montgomery, deputy associate administrator for management at NASA's Aeronautics Research Mission Directorate. "Design challenges help foster today's students in solving some of the most difficult issues facing the aviation industry today. Based on what we saw from last year's DLR/NASA challenge, I know we will all learn and benefit from what our respective teams create during the next few months." Fifty-one students from all over Germany have registered for the NASA / DLR Design Challenge. Together, they form 10 teams from nine universities, including TU Munich, TU Berlin, University of Stuttgart, TU Braunschweig, RWTH Aachen, FH Aachen, TU Hamburg-Harburg, HAW Hamburg and TU Dresden. On the US side, there will also be a two-digit number of participating teams from various universities. A winning team will be chosen for each country. The German winners will travel to the United States in the autumn of 2018 to visit NASA. There, they will present their award-winning work along with the US winners work at a symposium attended by internationally recognised aviation researchers. Participants now have to develop their design proposals and submit them to DLR by 1 July 2018. The winners will be announced at the end of July.